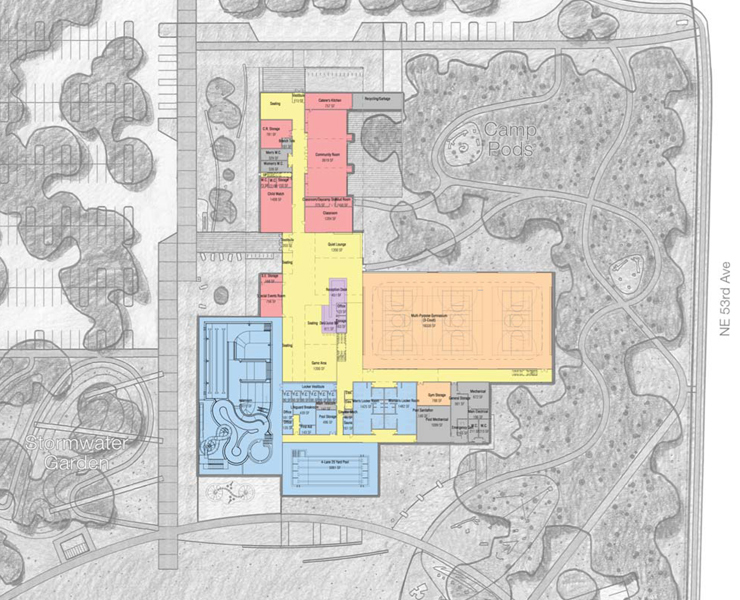 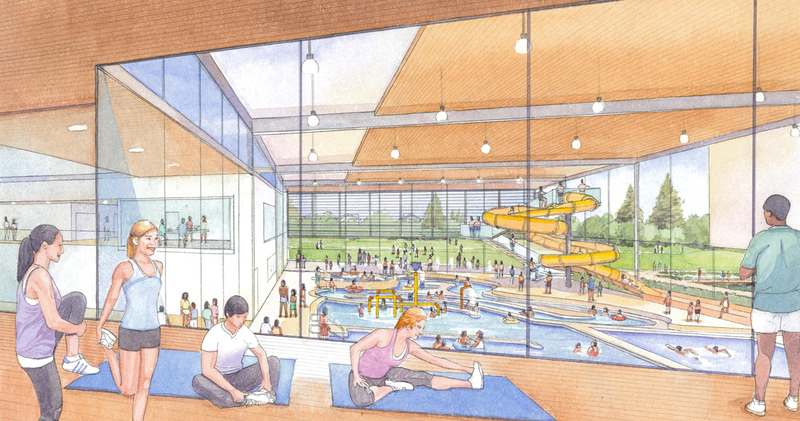 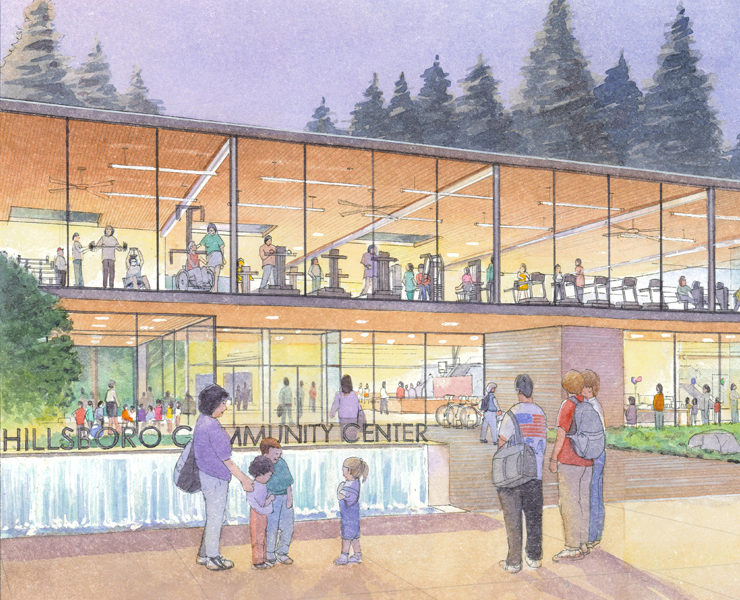 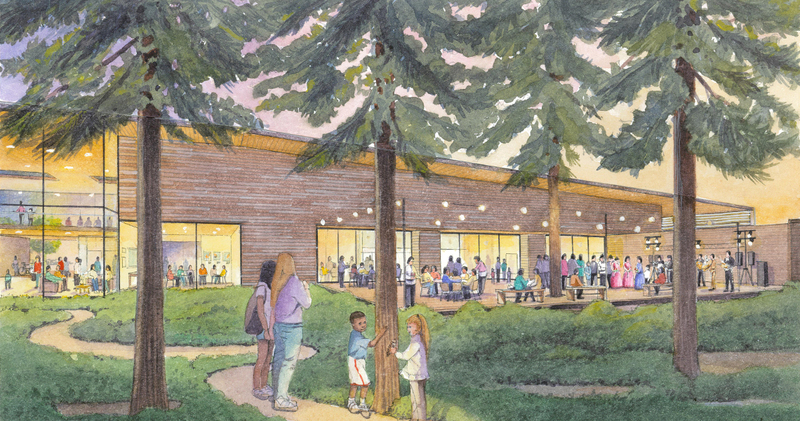 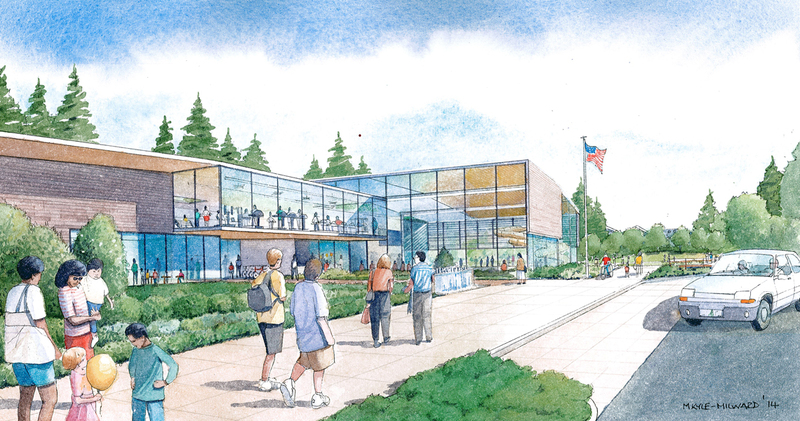 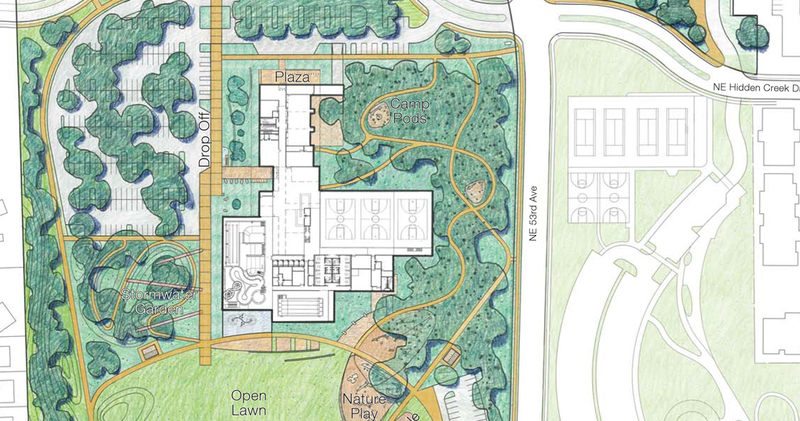 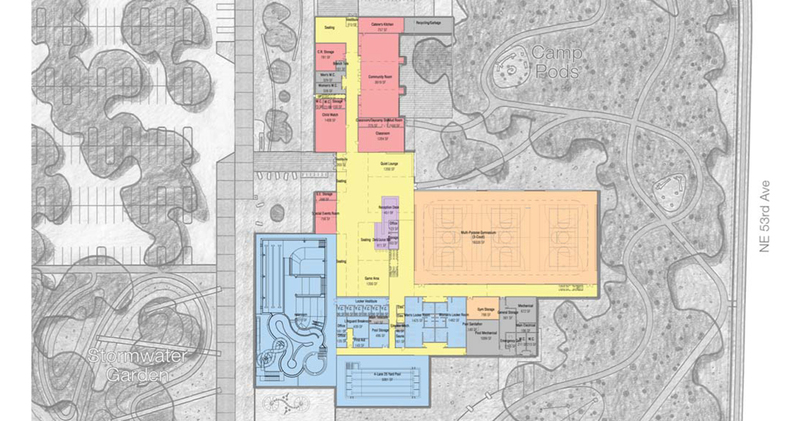 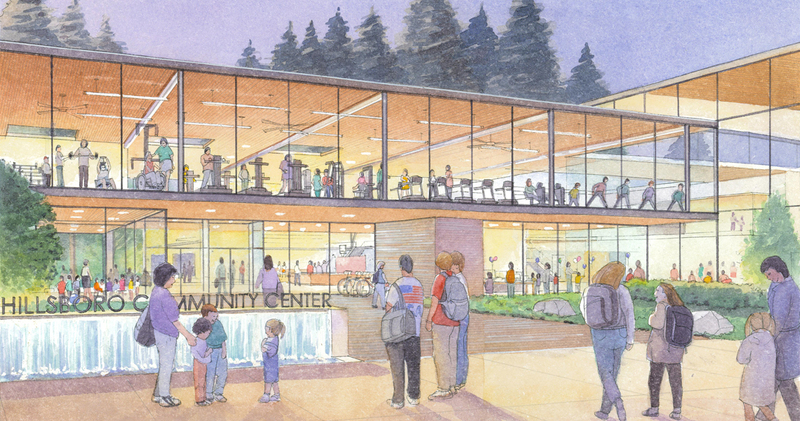 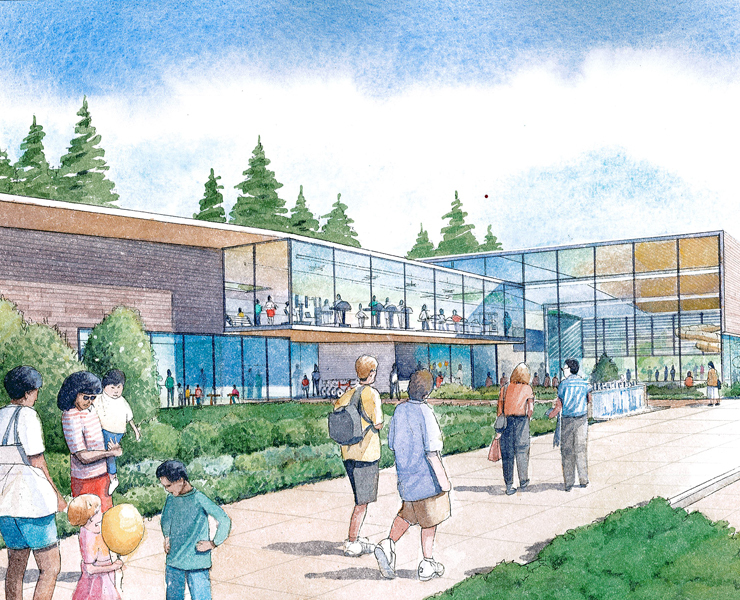 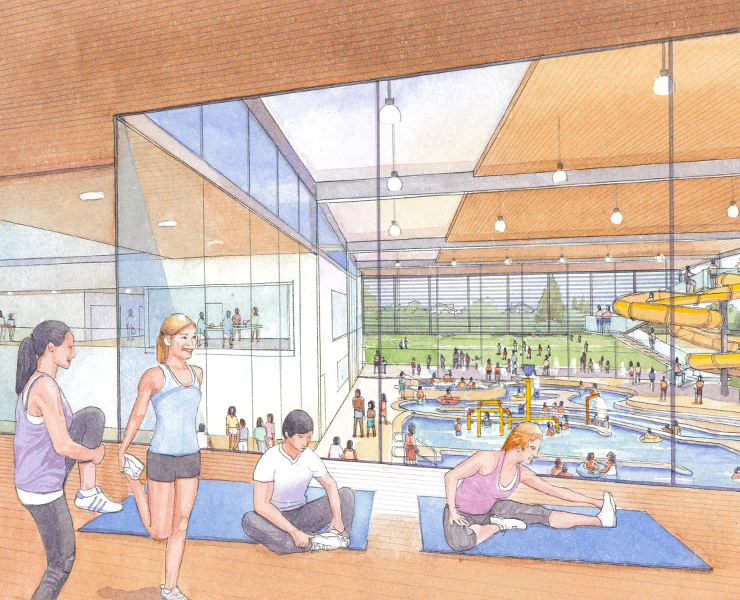 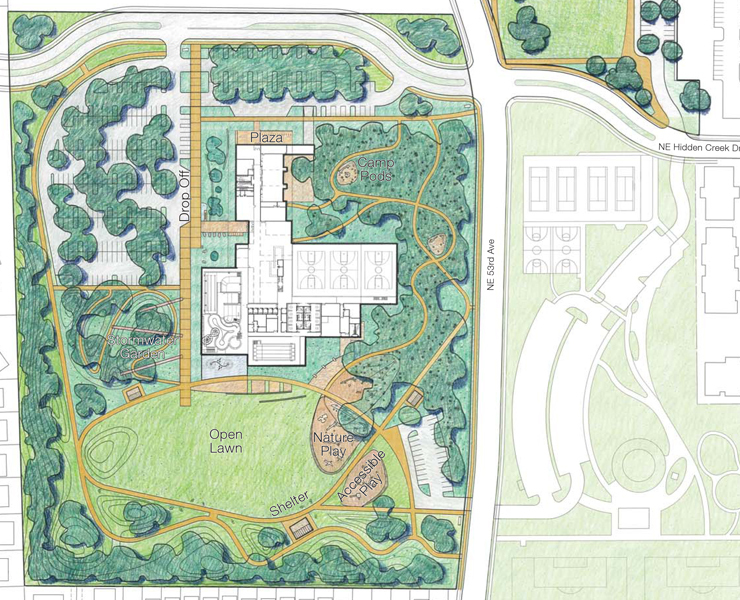 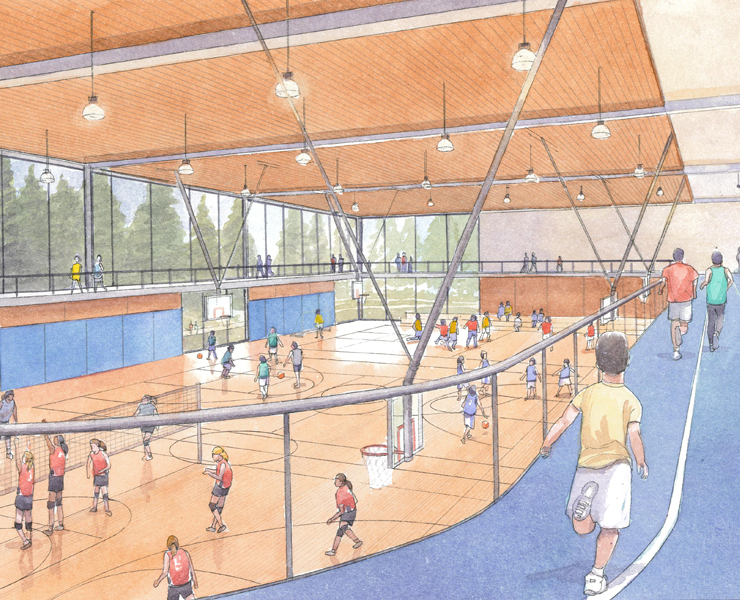 The Hillsboro Community Recreation Center and Park will create a new civic recreation campus situated in the heart of Hillsboro’s expanding community. 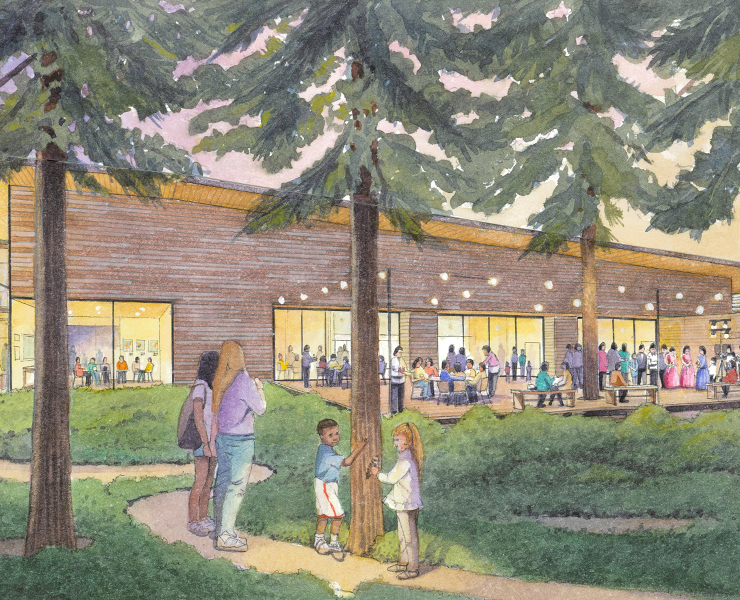 The new multi-generational community center is designed to integrate harmoniously into a new 20-acre community park with remnant forest. 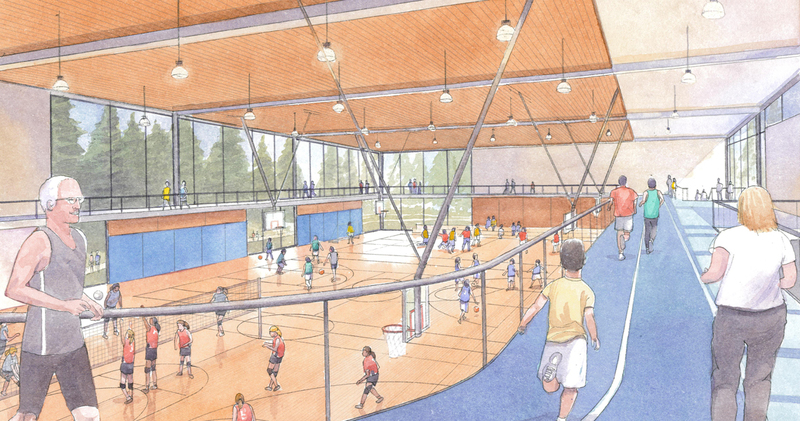 The innovative green design and light filled architecture of the 115,000 sf community center brings together social, recreation and cultural spaces that combine active and quiet lounge spaces, juice bar with café seating, 300-seat divisible community room, multi-use classroom, recreation and lap swim pools, 3-court gymnasium with elevated walk / jog track and several group exercise rooms. 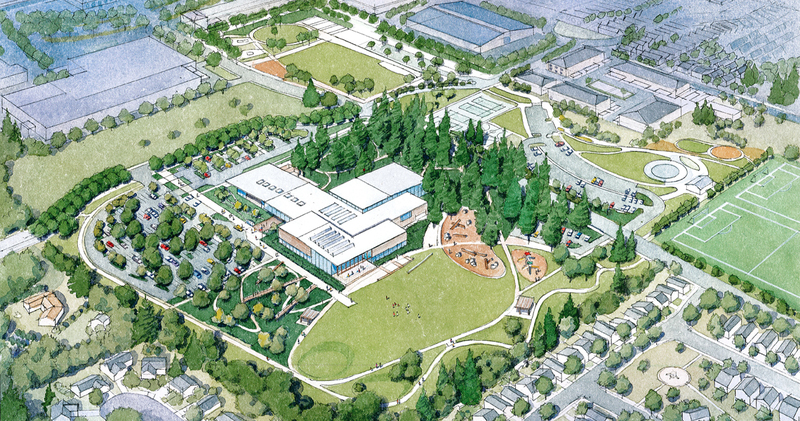 The $45M facility was planned and designed through an active public engagement process that consisted of input from an 18-person Citizen Advisory Committee, public open house events and a statistically valid survey as well as a web based survey. 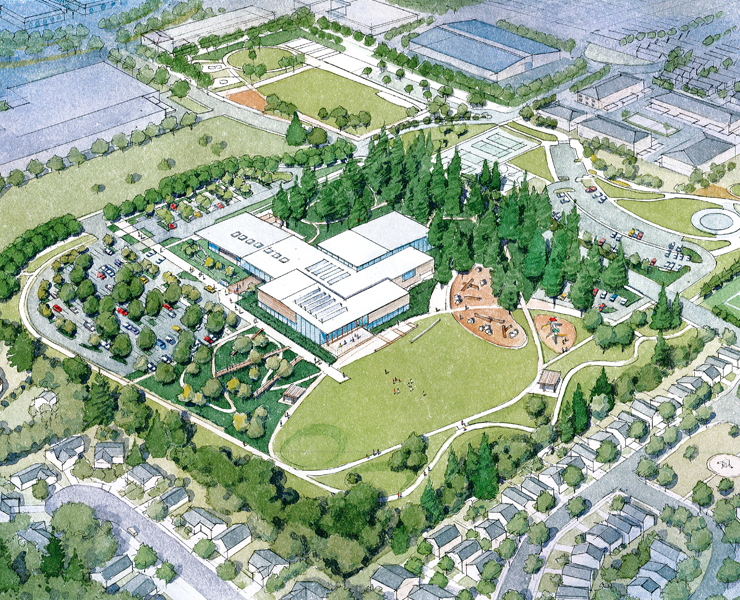 Read why this project is so important to Hillsboro in the Oregonian article published on March 6th, 2014, here.